offers items from all over the world bringing you an inspiring collection of eclectic jewelry, bags, home decor and more. 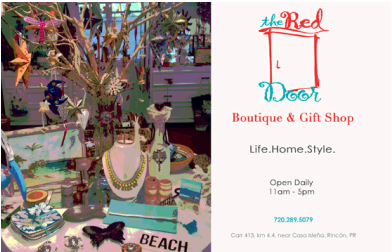 Here you will find stylish and unique gifts, and home accents with both local and global origins including fair- trade and recycled goods. 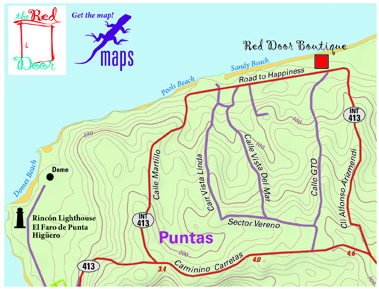 We are located in the popular tourist area of Puntas in Rincon, Puerto Rico. Location: Carr 413 (Int) Km 4.4 Bo. Puntas (near Casa Islena) Click on this map to find us! Parrotphernalia Gift Shop is located on the pool level of the Lazy Parrot, 8 am to 5pm, 7 days, where local art, t-shirts, sea glass jewelry and whimsical beach stuff can be found. Souvenirs and gift certificates for everyone on your gift list! It’s always squawkin good at the Lazy Parrot!